Part perfume, part auric cleanser, part energy protector this oil blend is a definite MUST. 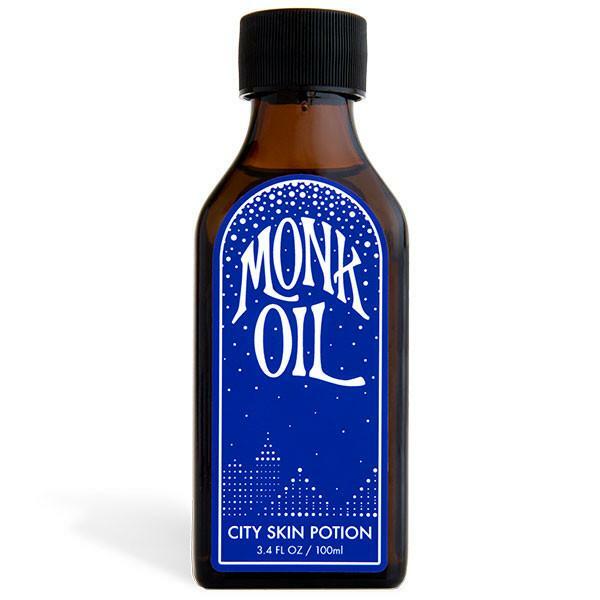 Katie and Monika of Monk oil created this refreshing blend of oils after a revitalizing trip out of the busy streets of NYC and into the wild of the Pacific Northwest. They wanted to capture the healing essence and power of nature and bottle it up to combat the everyday city grind. It's meant to cleanse your aura and protect against negative energy. A blend of essential oils, yes please! Crystals-each bottle has a crystal in it! I have the original city skin potion with Clear Quartz "Strengthens and protects vital energy" and dawn city skin potion with Rose Quartz "Promotes active love and compassion". What a beautiful detail added to the product. SOOOOOOOOOOO I have always been a kind, caring, loving person, but have dark, angry moments like anyone else, I’m not perfect and have grown a lot through self discovery and soul work. In my younger days while still discovering myself, alcohol fueled any drama in my life and definitely fed into angry spurts or even bordering on violent words or actions. I am happy to have those lessons on my journey because I most certainly have learned from them and it is a meditation to be peaceful and zen and put my ever loving nature into practice ESPECIALLY when I am in situations where other people are letting the “spirits” attach and going to dark places.... like Las Vegas for instance? Long story short. I slathered on my Dawn monk oil (with ROSE QUARTZ) on a night out that involved drinking for some protection and it was actually CRAZY how well it worked. I kept calm, peaceful and loving in situations that in the past I would have let anger get the best of me and lash out, I felt no anger or negative energy. I really believe the monk oil potion of oils, essential essences and crystals had a big part in my energy protection in some particularly trying situations (combined with my more mindful meditative self). Maybe it's a placebo effect, but if anything it smells amazing and feels great on the skin. There are 4 different flavors now, City, Dawn, Dusk and PALO SANTO! They have adorable mini bottles so you can enjoy them all. I had to resist getting all of them, but they are super unique and a perfect gift for your city girl. The Easiest To Peel Hard Boiled Eggs Ever!!!!! !